DENTON, Texas — Ed Werder is usually the one asking the questions. That’s what the veteran ESPN reporter was doing on a Saturday night in August, on the turf of the Superdome before the Saints hosted the Patriots in an exhibition game. Drew Brees, as he’s done many times during his 15-year NFL career, was opening up to Werder. This time it was about an issue that threw off course Brees’ 2014 season, an oblique injury that had interfered with the quarterback’s throwing mechanics. Later, Werder would report the news for ESPN. Werder hesitated. He wanted to be honest, to a person who had been honest with him, but … How much do you tell him? You probably know Werder from your television, where he reported from the Seahawks locker room after that fateful pass in Super Bowl XLIX; from Brett Favre’s lawn during the great (un)retirement saga; and from any of 31 NFL stadiums on any given Sunday. 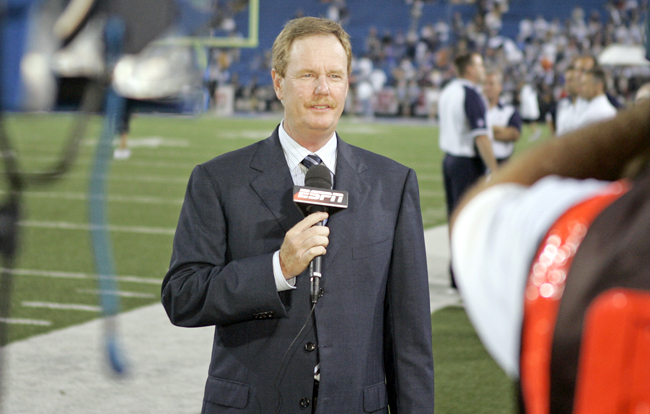 An NFL insider for ESPN, Werder is a trusted voice who has covered the league for decades. But just as much as football Sundays are part of Werder’s weekly routine, so are hospital visits and doctor’s appointments. The players Werder covers overcame astronomical odds to make the NFL, but the statistical likelihood of his daughter and her husband together enduring brain surgery and Stage 4 cancer are something in the neighborhood of 1 in 25 million. Christie Bomar is 31, an inclusion aide at a high school in Denton, Texas, a suburb 40 miles north of Dallas. Trey Bomar is 30, a team leader at Honda Financial Services, near the Cowboys’ Valley Ranch headquarters in Irving. They met six years ago, after each heard the same radio ad for a Christian dating website. They share a 70-pound mutt named Boo (“still a lap dog,” Trey insists); a newly built one-story home; a last name. And they share formidable health concerns. During the three years they have been married, Christie’s battle has been to relearn how to walk, talk and use the right side of her body. Trey is fighting for his life, against a cancer that continues to grow despite 27 rounds of chemotherapy. If you’re one of Werder’s more than 150,000 followers on Twitter, you may have seen his tweets about Christie and Trey. At first it was an outlet for Werder, a way to pass hours spent hoping for good news in lonely hospital wings. But so many people have responded that Werder feels an obligation to update them on Christie and Trey’s progress—fellow journalists, PR directors around the NFL, players, complete strangers. On any given day, Werder’s @-mentions on Twitter are a mix of those offering encouragement to his family and trolls who take issue with his latest tweet about the NFL. Back in August, Werder used social media to stand up for ESPN colleague Chris Mortensen’s Deflategate reporting. A Patriots fan pounced. “First of all I hope your entire family contracts HIV,” the person wrote to Werder. Werder often thinks about the people who drive past hospitals, never realizing how fortunate they are that they don’t have to turn in the drive. It’s been decades since he was one of those people. He and his wife, Jill, settled in Flower Mound, Texas, in 1992, when Werder took a job as the Cowboys beat reporter for the Dallas Morning News. 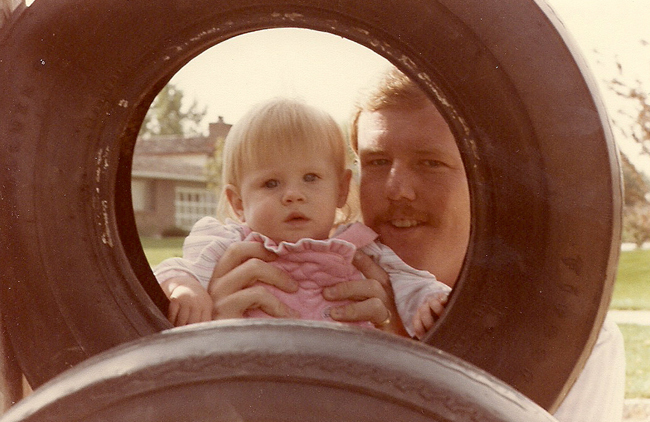 Just a few years later, when Christie was in fifth grade, unusual symptoms showed up. Christie kept a water bottle beside her bed, and at her desk at school, and would get up to use the restroom every 10 minutes or so. They suspected diabetes, but the sixth doctor they visited discovered the real culprit: A pea-sized tumor on her pituitary gland, the master gland at the base of the brain that releases hormones to control growth and various bodily functions. For the next six weeks Jill picked Christie up at school every day at lunchtime, and they drove into Dallas for radiation directed at the base of her brain and her spine. It zapped not only the tumor, but also her body’s ability to produce hormones. She lost her long blonde locks on New Year’s Day 1996, and when she returned to school the next day, the class bully ripped off her hat. The Cowboys were making their third Super Bowl run in four years that season, this one with Barry Switzer at the helm. Jones felt vindicated for his decision to replace Jimmy Johnson with Switzer, and Werder sat down with Jones in his office for the Sunday takeout story. Christie used to go with her dad and younger brother, Brian, to take-your-kids-to-work day at Valley Ranch, where they would stand in the hallway with trading cards and sharpies to collect autographs from the Big 3—Troy Aikman, Emmitt Smith and Michael Irvin—and others. Jones, at the end of the interview, leaned over to make an even better offer. Jones and his son Stephen, the Cowboys’ COO, still ask Werder about “our little girl.” Three years later, she was declared in remission; after 10 years of clean MRIs, she was pronounced free of cancer. There were aftereffects—she had to take human growth hormone, her weight was hard to control, and she was told she would likely not be able to carry children. But her life resumed. Christie got an education degree at the University of North Texas; she took a job helping disabled adults find work; she met Trey and fell in love. Christie was also starting to have double vision. That was when Jill called Ed. They needed to figure out what the issue was, before her sight loss became permanent. In Christie’s brainstem, around the same area that had been blasted with radiation, a cavernous angioma—a malformation of blood vessels that affects just 0.4% of the population—had developed. The mass was bleeding into her brain, causing the numbness and double vision, which had a chance of becoming permanent if she didn’t have brain surgery. There was no way to know how much the surgery would affect Christie, and she wanted to be able to walk down the aisle, and stuff cake in Trey’s face, and dance with her dad (Werder took dance lessons, promising Donald Driver-esque moves; he did not deliver). Werder had missed another game assignment while Christie was seeking a diagnosis, a Week 13 game in Minnesota between the Vikings and Broncos. Denver’s VP of public relations, Patrick Smyth, mentioned the situation to the team’s starting quarterback at the time, and Tim Tebow wanted to help. How about he send a message on social media, asking for support? When Werder tweets about Christie and Trey, sometimes he makes football references. It keeps the good humor. Aug. 22, 2012: While world sleeps, Christie heals. At 5 am, we learned she can again swing leg powerfully from hip. Anybody still need FG kicker? The brain surgery to remove the angioma took eight-and-a-half hours, but the length wasn’t even the scariest part. Midway through, Christie’s family was told that the some of the computer equipment used to guide the procedure had failed. The surgeons would be able to proceed without it, but having it is a benefit, so they paused the surgery to try to get the equipment fixed. At the end of the day, Samson came out with more uncomfortable news: He wasn’t sure he got it. The angioma had been deeper in Christie’s brain than Samson had expected, and he couldn’t justify the potential damage by continuing to dig for something he wasn’t sure was still there. They would have to wait for an MRI in the morning to see if it was gone or not. But Christie’s spirit, as well as the support of her family, willed her down the harder path. ESPN bosses John Wildhack and John Skipper, and senior producer Seth Markman, called Werder and told him to take as much time off as he needed. He, Jill and Trey took turns holding vigil by her hospital bed, waiting for her to take steps forward that were at once both minor and major. A week after surgery, Werder posted two notable developments to an online angioma community where they had found support: Christie was able to sit up on her own, and flowers had arrived from Roger Goodell. When Christie passed the swallow test, clearing her to eat, family and nurses all celebrated with a Wendy’s Frosty party. They helped her relearn how to walk, following her with a wheelchair as she gripped a walker. When Christie was 12, Werder says he made a deal with God that if she could recover from her tumor without any consequences, he would never miss church again. “So far,” Werder says, “he’s not been interested in that deal.” The brain surgery 16 years later was almost certainly related to the earlier issue, and the month she spent in the Dallas hospital was just the beginning of a long road back. Three years later, she is still working on reconnecting her brain with the right side of her body. To pick up something with her right hand, for example, she has to think about lifting her arm and squeezing the muscles. Letting go is even harder. Christie can remember the milestones of her rehab very clearly—up until a certain point. Ten months after brain surgery, she ran for the first time, at a Baylor physical therapy facility. A year after being released from the hospital, she finished writing her children’s book, Boo Can Too! starring her dog. The median age of people diagnosed with colorectal cancer in the United States is 68, per the National Cancer Institute. Ronney Stadler, the colorectal surgeon who operated on Trey, says the chances of a male in his late 20s being diagnosed with the disease are around 1 in 100,000. Because people under age 50 aren’t routinely screened, by the time cancer is discovered in younger patients, it is often more advanced. The tumor in Trey’s colon was so large, the colonoscopy had to be stopped early because the gastroenterologist could not fit the scope through. The next day Stadler removed a foot of Trey’s left colon. Trey had a small perforation in the colon that would heal over time, but what no one knew for sure was how far the cancer had dispersed through it. One doctor used the analogy of blowing a dandelion pod: The pieces spread all over, and some land on cement and die, but others hit fertile soil and grow. How was it possible that Christie was now the healthier one in their marriage? She had used her experience to mentor others, including a 12-year-old family friend who battled an incurable brain cancer. Now she was mentoring her husband. Trey is a little claustrophobic and was nervous about entering the MRI tube for the first time. Christie, who’d had dozens of scans, shrugged it off. “Just get in,” she told him. Maybe she went through all she went through, Christie tells herself, to equip her to help him. Trey began chemotherapy in June 2014. Werder gave him a gift, What It Takes, Giants linebacker Mark Herzlich’s book about overcoming cancer. They soon learned that the cancer had found plenty of fertile ground elsewhere in Trey’s body, making it Stage 4, the most advanced stage. He needed surgery last summer to remove a tumor in his liver, which accounted for 70% of the organ. Trey started visiting MD Anderson Cancer Center in Houston this past January, when doctors discovered new lesions on his liver. The disease had also spread to his lungs and his abdominal lining. The hospital is the same place where Texans owner Bob McNair was treated for skin cancer and leukemia last year. One afternoon this spring, while waiting for their car at the hospital parking lot, Werder’s phone rang. The name on the screen was Kevin Cooper, the Texans’ senior PR director. Later in the day, when he returned home, Trey read about McNair’s cancer battle. Every other Wednesday, Trey spends five hours at the hospital for his chemotherapy infusion. He then wears a pack home, pumping the medicine into his body for two more days, while completing a 40-hour work week at Honda. The medicine makes him nauseous, but he grew worried when he didn’t lose his hair. What if it isn’t working, he wondered? Trey’s treatment has added a different rhythm to Werder’s life, in addition to the football calendar he’s followed for his entire career. Every three months, after completing six cycles of chemo, Trey travels to Houston for a round of CAT and PET scans that reveal the progress of the cancer. Werder flies down to join him for the Friday consult appointment, when the oncologist shares the results. That’s where Werder was the day before that Saints preseason game in August, when Trey received some of the most discouraging news to date. “And Ed is not a car trip kind of guy,” Christie says. It’s a family joke that Werder is too impatient for road trips, especially driving with Trey, who is steadfast in believing that speed limits are called limits for a reason. There are only four approved chemotherapy regimens for the kind of cancer Trey has, and once you switch to another one, you can’t go back. Trey faced a hard decision: Should he continue with this regimen, knowing it has not been fully effective, or should he take his chances and move on? For now, he has stayed the course. So when Brees asked about Christie and Trey, Werder couldn’t possibly explain the conundrum. It felt more like a family jinx. Hearing about their conversation later, though, Trey, a Saints fan, brightened. He has Saints floor mats in his car, and he and Christie have planned a road trip to New Orleans for a Halloween-weekend game against the Giants. “I didn’t know Brees asked about us,” he said, grinning. Christie and Trey closed on their house in September. On a recent afternoon, Trey pulled up to a sunny plot in Denton. He arrived a few minutes before Christie and had enough time to run inside their three-bedroom house and measure a space in the kitchen. It was 71 inches wide, a quarter-inch bigger than they expected, and he couldn’t wait to tell her. She squealed and hurried inside, admiring the wood grain floor tile and the espresso cabinets; asking Trey if he thinks the purple rug they picked out is too purple; worrying if the light fixture in the foyer clashes with the chandelier in the kitchen. When much of your life seems out of your control, the few things that are in your control become exponentially more important. You could call their decision unorthodox. There is no way to predict cancer, just a series of daunting statistics. The five-year survival rate of patients with Stage 4 colon cancer, Stadler says, is between 10 and 20 percent. And Trey’s cancer has proved to be especially stubborn, so far not responding to treatment like anyone had hoped, locking him into an indefinite itinerary of every-other-week chemotherapy in the hopes of keeping the cancer at bay as long as possible. After his most recent scans, Trey figured their dream of the home in a nice suburb, with an elementary school nearby, was over. “Now Christie won’t be able to get her house,” Trey told his father-in-law on the drive home from Houston. This summer, Trey and Christie started a cancer support group at their church. The logo depicts God as an anchor, and Christie has written in the mission statement, “when the seas of life become choppy and the storm rages, the anchor holds firm.” There is an elderly man who has attended some of their meetings, and he shared with the group that 20 years ago he was told he had six months to live. “They just never told me when those six months started,” he said. That’s how Christie and Trey have chosen to live. 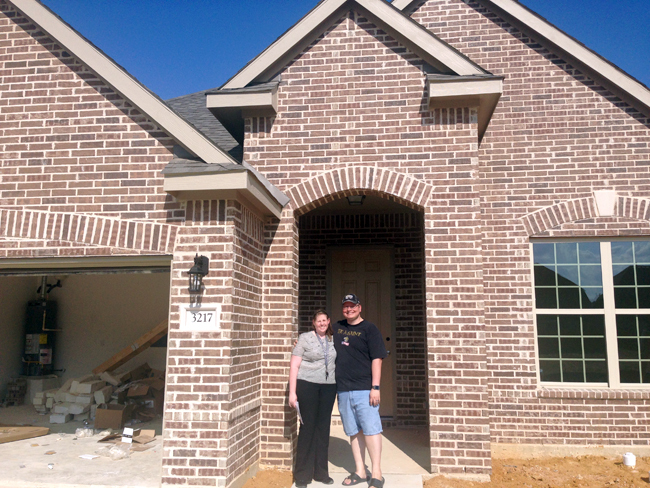 They closed on their new house Sept. 30, and last weekend Ed and Jill helped them move in. Stadler, the colorectal surgeon who has been a trusted guide through Trey’s cancer battle, often hears from patients wanting to know, why me? It only happens to nice people, Stadler tells them. That’s really the only answer there is. He’s never had trouble asking the tough questions. But Ed Werder is finding out what it’s like to not be able to answer them. Update, March 2016: Trey Bomar passed away on the morning of March 12, 2016, with Christie by his side.